San Juan Capistrano, CA, July 17, 2012—IQinVision (http://www.iqeye.com), market leader in high-performance HD megapixel IP cameras, today announced Elkerliek Hospital in the Netherlands has chosen IQinVision HD megapixel cameras for its recent upgrade to IP video surveillance. Xserius is the distributor for the project, and Flexposure is the project integrator. Elkerliek Hospital supplies modern, high-quality basic care to its patients. The hospital is run under the motto, “Providing quality care begins with the design of good, modern services for parking, reception, and security.” Thanks to this philosophy and commitment, the hospital was recently recognized as the “Most Hospitable” in the Netherlands. When hospital administrators decided to upgrade to IP video surveillance, they wanted to accomplish traditional security goals and to optimize extra services and health care. 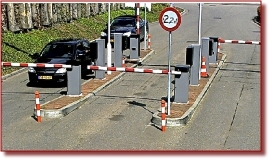 To accomplish these goals, project managers decided a deep integration between parking, access, and other security systems would be required. In order to integrate IP cameras into the overall system, it was crucial that the cameras chosen demonstrate excellent performance in low light situations. 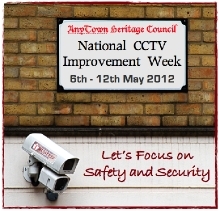 The hospital also wanted megapixel quality cameras to ensure detailed camera images at all times. The decisive factor in choosing IQinVision was the proven ability of the IQeye megapixel cameras to meet Elkerliek’s expectations. As a result, and due to IQinVision’s open standards, Flexposure was able to successfully integrate 150 IQeye cameras into the centralized security system. As an added bonus, the project solution is future-proof: camera numbers can easily be expanded and cameras can be moved anywhere there is a network connection, should the need arise. Integration and centralization of different systems within the hospital helps ensure the safety of all patients and staff, and such integration also provides important resources and information to make the best medical care possible. Detailed camera images, managed by a Mirasys VMS, are now used to facilitate parking, confirm access control information, and are available for other uses in the central control room. “The Elkerliek Hospital project is an excellent example of the expanded role integrated security systems can play,” commented Henri Nieuwstraten, General Manager, Xserius. Since 1998, IQinVision has been designing, manufacturing, and marketing the IQeye line of megapixel/HD cameras. IQinVision is a world leader in IP video and Intelligent Network camera products and is committed to continued industry leadership with highly-valued products and superior customer service. IQinVision was first to market with megapixel IP cameras, HD cameras with on-camera recording, and intelligent network cameras, while receiving prestigious industry awards from Frost & Sullivan, Security Technology Executive, Detektor, and the IP UserGroup.